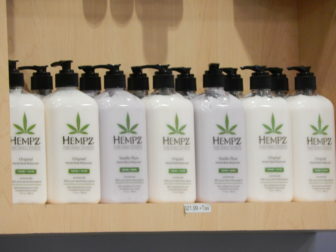 Medical marijuana products available for sale at Prime Wellness, a dispensary in South Windsor. Gov. Dannel P. Malloy on Tuesday signed a bill to open the state’s medical marijuana program to minors with certain medical conditions. The measure takes effect Oct. 1 and would apply to minors with one of five conditions: a terminal illness requiring end-of-life care; cystic fibrosis; cerebral palsy; severe epilepsy or uncontrolled intractable seizure disorder; or an irreversible spinal cord injury with objective neurological indication of intractable spasticity. To qualify, those under 18 would need permission from a parent or guardian and two physicians. They would only be allowed to use forms of the drug that could not be smoked, vaporized or inhaled. The proposal drew support from parents of children with debilitating seizure disorders, many of whom tried more than a dozen medications that brought severe side effects but little relief from seizures. The Connecticut Chapter of the American Academy of Pediatrics also backed this year’s bill; although the organization has concerns about the effects of marijuana on the developing brain, leaders determined that in some cases, such as children receiving end-of-life care or having debilitating seizures, the potential negative effects would be outweighed by the potential benefits. Opponents of the proposal said more research is needed before children should be allowed to be exposed to the drug, and expressed concerns that legalizing its use could in some cases could send a message that marijuana is safe, making it harder to discourage young people from using it. The bill also allows the state’s consumer protection commissioner to approve research programs on medical marijuana. It passed the House 129 to 13 and cleared the Senate 23 to 11. Connecticut is one of 23 states – along with Washington, D.C., and Guam – that had a “comprehensive” medical marijuana program, but the only one that did not allow any access to it for minors, according to the National Conference on State Legislatures.